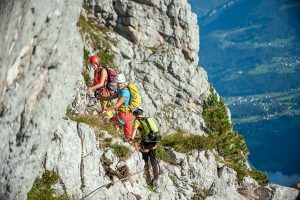 If you are unsure whether climbing tours and the height are the right thing or the technology has not yet mastered, that is exactly right with us. 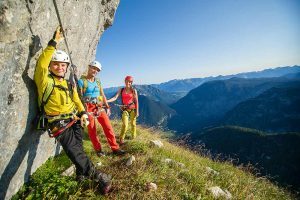 With Bad Goisern in the heart of the Salzkammergut, we have a perfect practice area, where our guides carry out basic training courses to make them fit for the first tours. 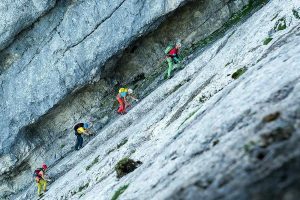 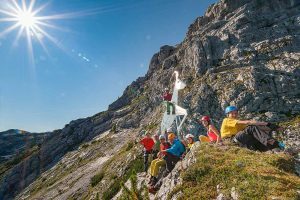 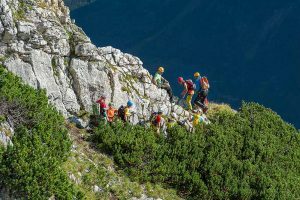 OutdoorLeadership has built numerous climbing routes in all difficulty levels and lengths in the interior of the Salzkammergut, embedded in a magnificent mountain and lake scenery. 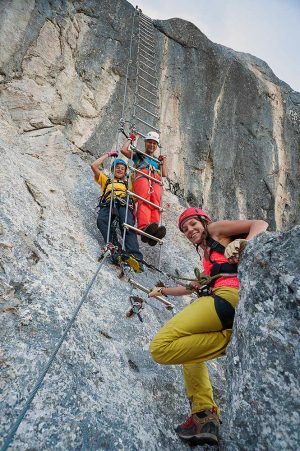 Whether beginners, families or advanced, our guides will find the right tour for every level of skill. 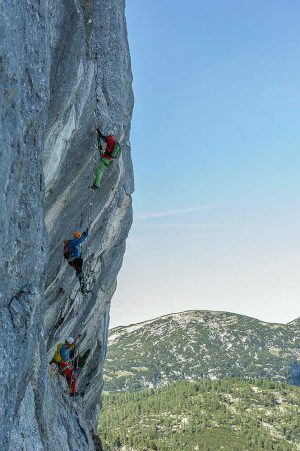 Exit to train 15 min.